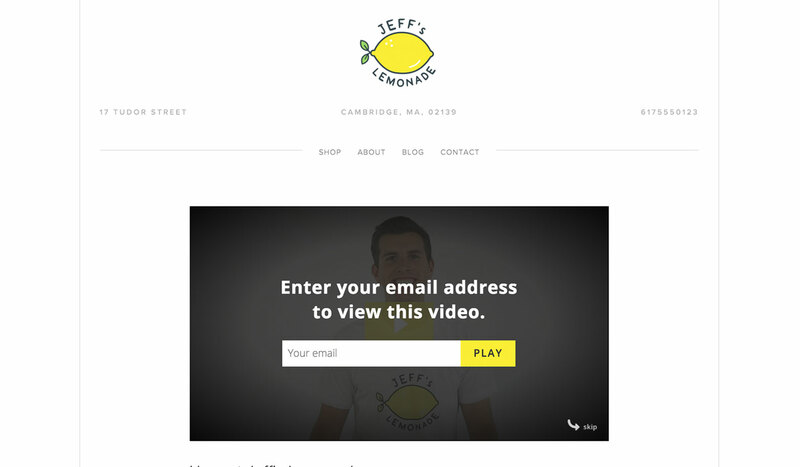 With Wistia’s Turnstile email collector, your viewers can enter their email addresses right within the video player! This advanced feature makes it easy for you to gate videos and drive qualified leads to your email lists and CRM. Turnstile lets you collect emails and names from the visitors who watch your videos across your website, and on Twitter too. It’s a clean form that can appear at any time during your video, and will work on any and all devices. To cut down load times on mobile devices, we’ve implemented HTTP Live Stream (HLS). Mobile network connections aren’t always strong, and HLS optimizes playback to be as fast as possible. 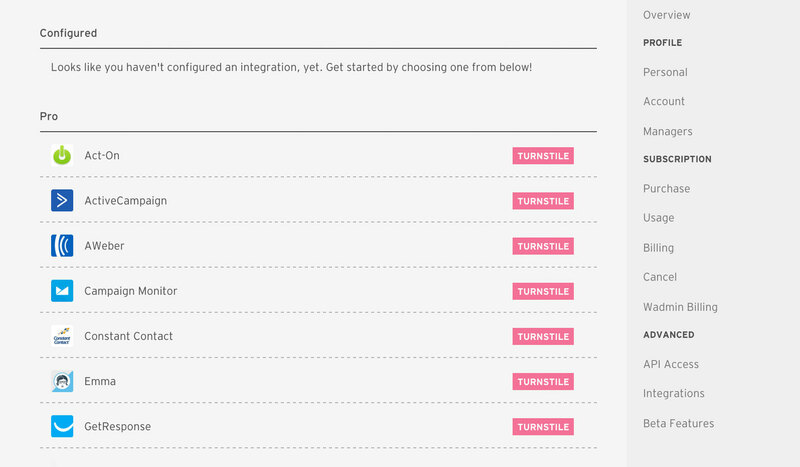 Right now Wistia offers more than 14 different Turnstile integrations, including HubSpot, MailChimp, Marketo, Campaign Monitor and Constant Contact. You can browse the full list here. Setting up your integration is as simple as logging into your provider through our app, so you’ll be set up and ready to go in under 5 minutes. Search bots can only read text, so Google’s algorithm loves video transcripts. If you embed a Wistia video with captions onto your page, we’ll automatically inject the transcript via JSON for an additional SEO boost. Collecting leads becomes more impactful with our advanced marketing integrations. If you connect Wistia to your HubSpot, Marketo, or Pardot account, you can take lead nurturing to the next level. Not only will viewers' emails be collected and added to your lists, but you’ll be able to track them across your website. Every time they watch a Wistia video, that viewing data will be pumped into your platform of choice, and you can set up campaigns or lead scoring workflows off the back of the data. Viewing sessions are identified with a viewer’s email address once a visitor completes a Turnstile. The Audience page displays those viewers on a single page, so you can see all your leads at once. You can make a Turnstile skippable, customize the information you want from your viewers, and choose to place the gate anywhere within your video timeline. Start generating leads with video today!